Ford Car Insurance, Compare Ford Insurance Quotes & Save! Compare Ford Auto Insurance Quotes And Save! Comparing Ford car insurance quotes is your best path to getting the cheapest rates. As one of the largest auto manufacturers in the world, there are countless for makes and models to consider – F-150, Focus, and Mustang immediately come to mind. All Ford vehicles have unique insurance factors affecting insurance rates. One thing is guaranteed, all Ford drivers want the cheapest auto insurance rates and best coverage. Is your insurance policy up for renewal? Are you in the process of buying or leasing a Ford vehicle? At ThinkInsure, we can help you compare Ford car insurance quotes. Get quotes for all Ford makes and models. Simply call us toll free 1-855-550-5515 to compare quotes and save. Founded on June 16th, 1903 by Henry Ford, the company is best known for perfecting the automotive assembly line. The Ford Motor Company Of Canada was established shortly after in 1904 to manufacture and sell Ford vehicles in Canada. The company continues to be the one of the 5 largest auto manufacturers in the world largely due to the success of the Ford F-Series line of trucks. Ford also owns Lincoln, Troller, a Brazilian SUV manufacturer, and stake in Aston Martin. The company sold just under 2.4 million units in the US in 2018 and holds a 13.8% market share in the Canadian auto market. The Ford Escape and F-150 were two of the top 10 selling vehicles in Canada in 2018. The companies US head office is located in Dearborn, Michigan and the Canadian office is located in Oakville Ontario. The company plans to phase out most of the cars they sell in North America. 90% of Ford sales in North America are trucks, SUVs, and commercial vehicles. This will be the company’s focus going forward. Ford F-Series trucks, specifically the F-150 continues to be the top selling vehicle in Canada. It’s been ranked number the 1 selling vehicle in Canada for 10 straight years. The F-150 is available in a variety of models, features and has it has a strong safety rating. The only knock on the F-150 is its susceptibility to being stolen. One of the most iconic vehicles ever made, the Ford Mustang has been a staple among performance and muscle cars since 1964. The vehicle is now in its 6th generation and has regularly been on the Car and Driver 10 best list over the years. The Ford Escape is one of the top selling vehicles and bestselling SUVs in Canada. This compact crossover vehicle has been popular with drivers since it was introduced in 2000. It’s now in its third generation. The Focus is a popular sedan that is available in a variety of models, including electric. The base model starts at just over $15,000, making it an affordable vehicle option for those looking for a smaller vehicle. You can get it in a Hatchback or RS sports model. Ford Motor Company insurance varies based on the make and model. Some vehicles are expensive to insure, while others have cheaper insurance rates. Ford auto insurance reviews find that rates depend on not only the vehicle, but also the model, features selected, driver, coverage type, and many other factors. The Ford Escape is one of the cheapest SUVs to insure. The Ford Mustang, being classified as a sports car, is more expensive to insure than the average vehicle. Even though the Ford F-150 is a common target for thieves, it remains one of the cheapest pickups to insure. The larger F-Series trucks, F-250, F-350, have higher insurance rates. 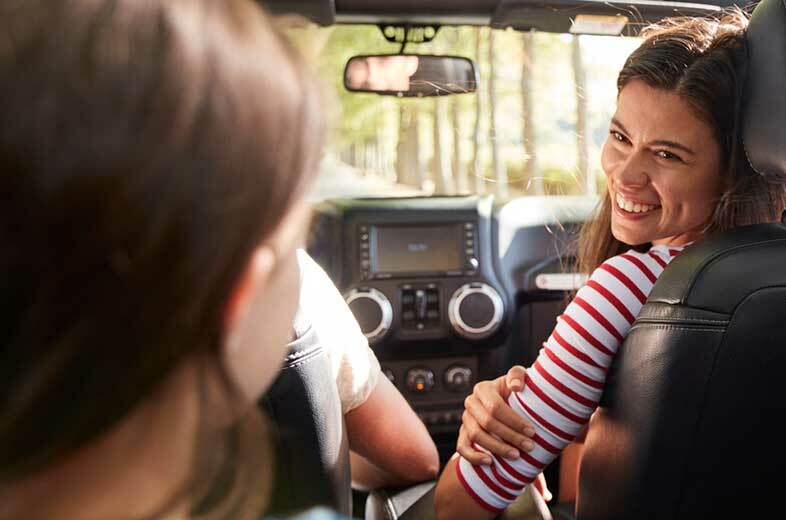 Ford car insurance costs vary greatly based on many factors, specifically the Ford vehicle you drive, your location, how often you drive, your driving history, coverage limits and more. Rates start as low as $1250 annually. Sportier vehicles such as the Mustang and Fusion are more expensive to insurance than SUVs and pickups like the Escape and F-150. Which Ford Vehicle Is Cheapest to Insure? The Ford C-Max, Taurus, and Edge are regarded as the cheapest Ford models to insure. To ensure you are getting the cheapest rates, compare quotes and coverage options. Repair Costs : The cost to repair a vehicle after an accident or claim is always a consideration. Ford Edge models can be expensive to repair after collision, contributing to higher rates. Theft : Insurance rates increase with the likelihood of a vehicles getting stolen. Ford Trucks are popular with car thieves in Canada. They are consistently on the most stolen list. Reliability : A variety of Ford models have had recalls in recent years. This can increase rates. 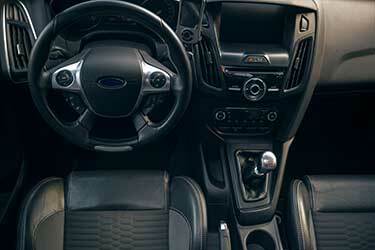 Safety Features : Ford vehicles offer customized vehicle packages with a variety of great safety features. Adding these safety features will help lower insurance costs. Model : The type of vehicle you choose will certainly affect insurance costs. If you are looking to save, choose a vehicle with more safety features, and a model that has a good insurance track record. Research the vehicles : Does the car have a good safety rating? Are repair costs reasonable? Does the vehicle appear on the most stolen list? Research your vehicle options. Choose an insurance friendly model : The amount you will pay for your coverage is dependent on the vehicle make, year and features. Newer and more expensive vehicles will cost more to insure. Select the right coverage : Make sure you don’t have too little or too much coverage. For example, if you drive an older used vehicle, you may not need comprehensive or collision coverage. Speak with our insurance experts about your insurance coverage needs. Ask about discounts : Do you qualify for insurance discounts? Always ask about available discounts. Provide accurate information when comparing quotes to ensure you are getting the cheapest rates. Comparing Ford auto insurance quotes is the most convenient and effective way to find the best rates. You need to shop around if you want to save. Use our insurance brokers to help you compare quotes and coverage from top Canadians insurance companies. Is A Ford Mustang Considered A Sports Car For Insurance? While called a muscle car by most, the Ford Mustang is technically a Sedan. Some insurers may classify it as a sports car for insurance purposes. While many believe the Mustang is expensive to insure, it is cheaper compared to many other sports cars. The year, model, and vehicle features will all impact insurance quotes. Do I Need Ford Gap Insurance? Your need for gap insurance is dependent on your financial situation, lease requirements, and personal preference. It may not be applicable to your situation. What Are The Ford Lease Insurance Requirements? All Ford lease agreements will require you to show proof of car insurance as part of the terms and conditions of the lease. You can get proof of insurance from your broker. How Much Is Insurance On A Ford Escape? Insurance rates for a Ford Escape vary from driver to driver. In general, you can expect to pay $1200 or more annually. Compare rates to get an accurate quote based on your driving history and coverage needs. Are Ford Escape Insurance Rates Higher Than Ford Edge? In general, Ford Escapes tend to have more affordable insurance rates than the Edge models. What Is The Cheapest Ford Fiesta To Insure? Most Ford Fiesta models have similar insurance rates. Models with sportier features such as the Fiesta ST will cost more to insure than more basic models such as the Fiesta Sedan S.
Can ThinkInsure Help With My Ford Insurance? Absolutely. At ThinkInsure, we can help you compare quotes and get coverage for all Ford makes and models. Contact us to compare quotes today! Drive a F-150, Focus, or Mustang? Need a car insurance quote? Contact ThinkInsure today to get a free Ford car insurance quote. Find the best rates and save money on your auto insurance policy. Call 1-855-550-5515 today!